Neighbor to Neighbor: Door-to-Door Pickup. Donors keep a reusable grocery bag in their kitchens, adding one non-perishable food items every week. Every two months, on a specified date, donors leave the bag outside their front door. 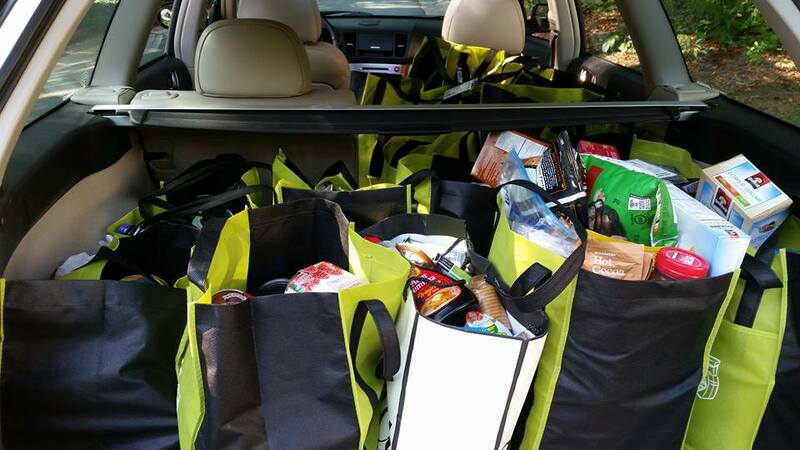 Volunteer drivers pick up the full bag of food and leave an empty bag for use during the next two months. The collected food is delivered that same day to several food banks for distribution to the needy. Employees of our corporate partners get a bag from work and add one non-perishable food item every week. On a specified Friday, every other month, employees bring their bags to work and get a new bag. 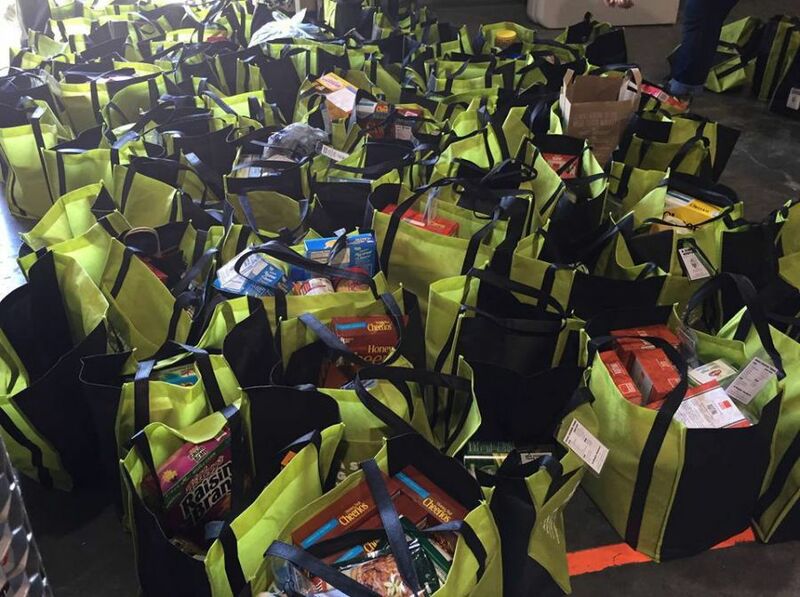 Volunteer drivers pick up the bags and deliver it directly to local food pantries. Although food drives and food initiatives are great projects, A Simple Gesture wants to reach those citizens in our town who want to make feeding the hungriest an ongoing work of charity. A Simple Gesture makes it easy, convenient, and inexpensive to give food, and thus supplies a steady flow of food to our food banks and food pantries. We hope you will consider signing up as a food donor, volunteer, or both! Click here to view a brief VIDEO that provides an overview of A Simple Gesture and ways to get involved. Working together, we can begin to make a difference to the hungry families and kids in Greensboro and Guilford County.